For my husband’s birthday, I bought him a gorgeous copper fire pit and wanted to protect it from the elements ASAP, but was having a hard time finding a good fire pit cover that wasn’t hideous. We had a plastic fire pit cover over it for a while, but it looked ugly and started to fall apart after just a few months. Not only did I need to protect our fire pit from the elements, but also from our two kids. My son has a tendency to overuse the scientific method and it can land us into some pretty unreal scenarios. What starts out as an innocent activity suddenly turns south when he starts to experiment by adding different elements to see what happens. He doesn’t mean any harm, he is just too curious and creative for his own good. I have learned that I child-proofing for him didn’t end in the toddler years and I have to be pretty proactive. I would never leave him out there by himself with a fire in the fire pit, but I could just imagine the trouble he could get himself into with even just the soot in there. I needed something heavy enough that he would have a hard time taking off and inconspicuous enough to keep the fire pit out of sight and out of mind. 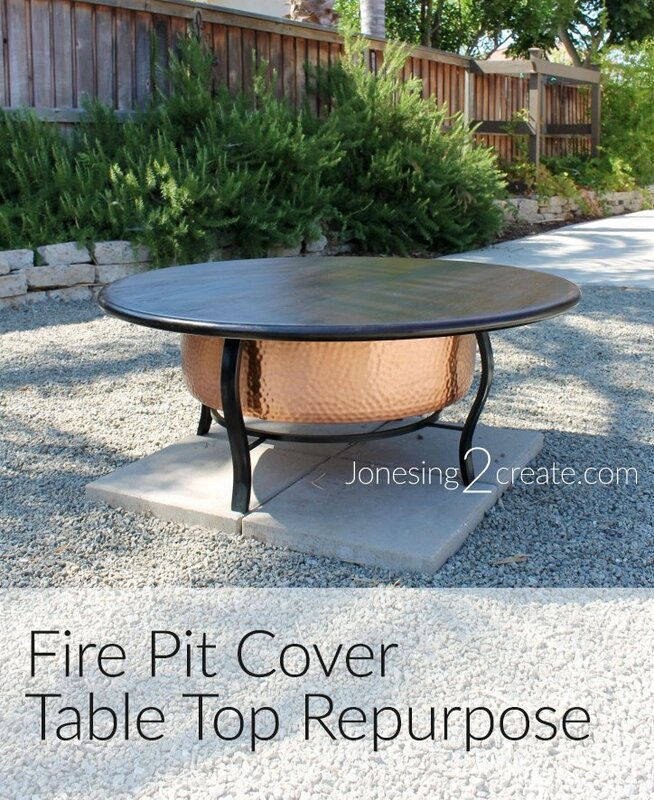 I had seen some DIY table top fire pit covers on Pinterest that I loved, and I really liked the idea of turning your fire pit into an outside table because it gives us more sitting area when entertaining. But I had no time to build one myself and wasn’t excited about having to cut a perfect circle out of wood. So instead I found a round table that was about the right size and removed the legs. A project that could have taken me all day if I did it from scratch, only ended up taking me 30 minutes and it looks great. The price was about the same too because buying lumber can really add up. I was able to get our table top for cheap off of craigslist for not much more than I would have spent on supplies. 1. Measure your fire pit and decide on a size range for your table top. Make sure it is big enough to cover the entire pit and decide how much of an overhang you are willing to accept. The more flexible you are about size, the easier it will be to find an affordable table that fits the bill. I decided that I wanted a little extra overhang because it would help protect the metal legs on my fire pit, but not too much because I didn’t want it to topple over easily. 2. Find a table top that is solid wood. The table top will need to stand up to the elements and a veneer or pressboard is not going to cut it. Lots of people think they know what solid wood is, but it can be easy to be fooled, so look carefully and do your homework. 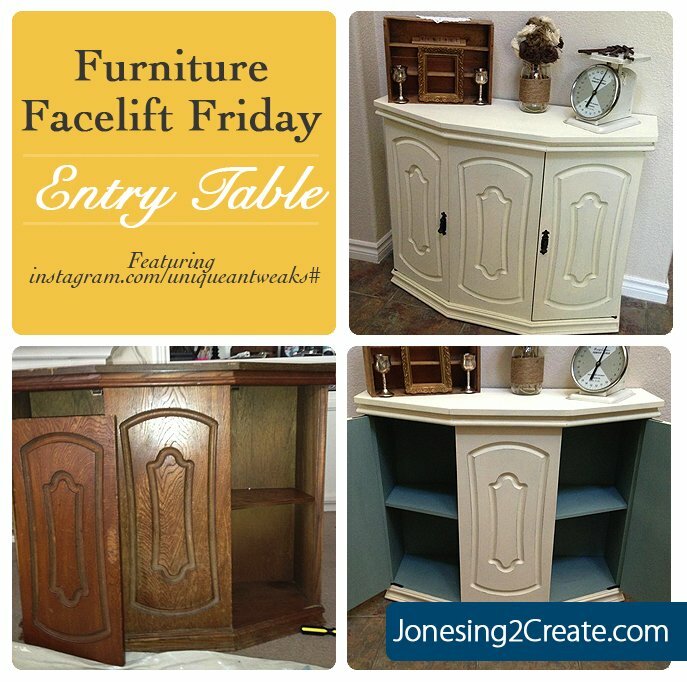 If a piece feels overly heavy or overly light, there is a good chance it isn’t solid wood. 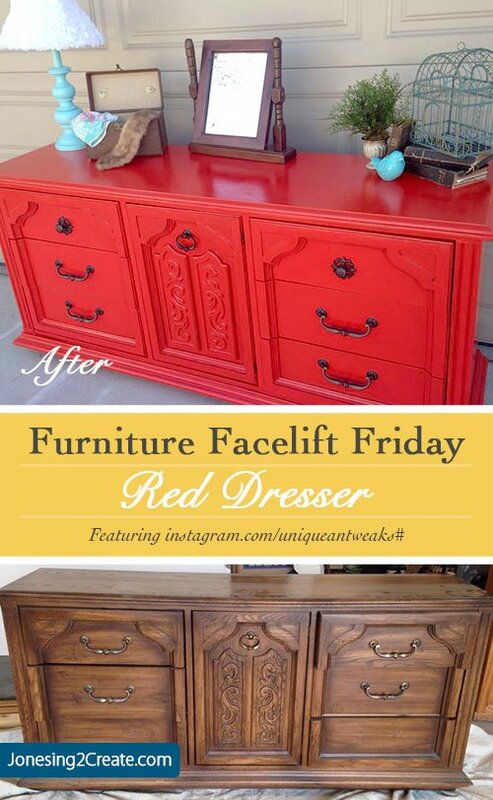 Solid wood is great because even if your piece becomes weathered over time, you can sand it down and refinish it again. But a veneer or pressboard are just going to fall apart. 3. Avoid tables with extensions. Lots of tables have leaves that allow you to make the table bigger. You will want a solid table though for this project because the table top will need to be able to hold together by itself even when it has been detached from the legs. 4. Remember that the easier it is to take the legs off, the easier the project will be. My table top was a bistro table, so I just had to unscrew the metal base. Easy! 5. 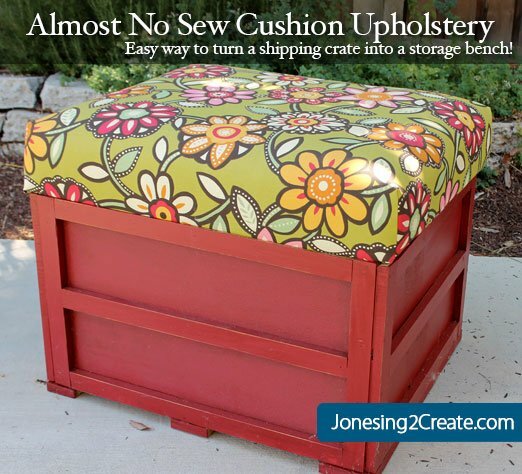 Add an extra layer of protection on the top and the bottom. Your table top will last longer outside if you seal it. 6. Don’t put your table top over your fire pit until your fire is completely out. I usually throw water on our fire and then wait about 24 hours before putting it back on. Wood is combustible, so putting it over a warm fire pit is a terrible idea. While we are using the fire pit, we use a spark screen to help prevent embers from escaping, but I store the screen in our garden shed because they have a tendency to rust easily. Here is what the fire pit looks like without the cover. 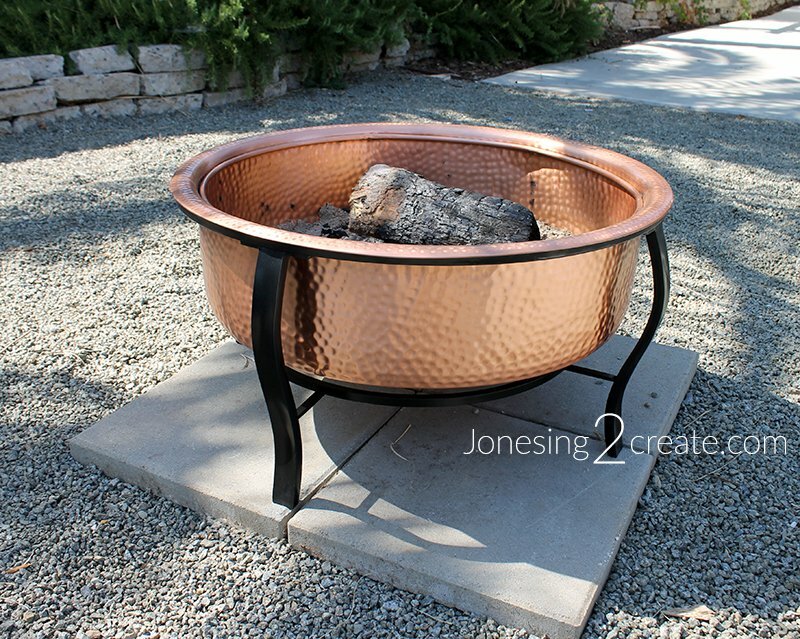 I opted for the copper fire pit because the copper doesn’t rust out as easily and it looks gorgeous as it ages.